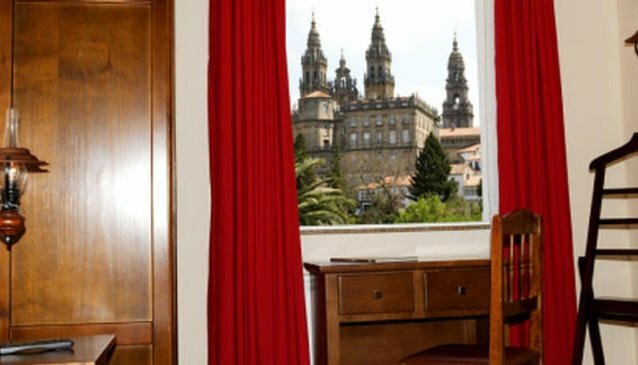 Pazos Alba Hotel is within easy reach of most tourist attractions and businesses in Santiago De Compostela.Pazos Alba Hotel boasts a convenient location with modern amenities in every guestroom and superb service. Each guestroom has non smoking rooms, daily newspaper, hair dryer, television, bathtub, separate shower and tub and mini bar. Services and amenities available for guests at this Santiago De Compostela accommodation consist of 24hr room service, laundry service/dry cleaning, safety deposit boxes, tours and business centre. The hotel creates a balance of rich culture and modern convinience to ensure you a memorable stay.